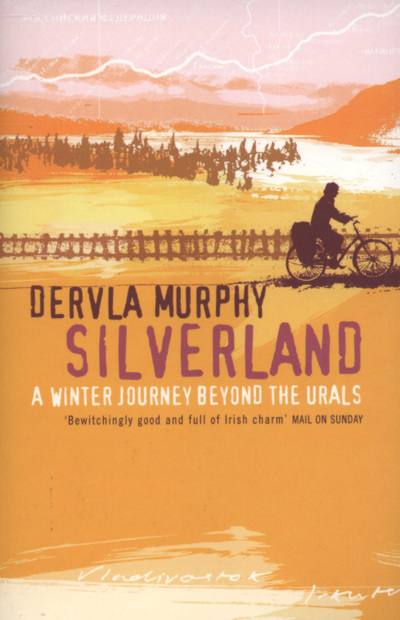 Each time I track a previously unread book by Dervla Murphy in my library, I dance for joy. By now, I've learnt to expect a guaranteed literary feast, with both aesthetic and intellectual cravings satisfied. Silverland is no exception. 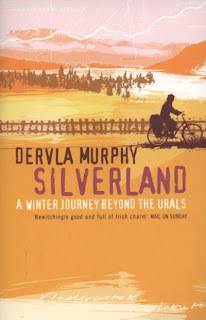 A follow up to Through Siberia By Accident, Silverland is a chronicle of Dervla's second journey to Far Russia. Taught by experience or maybe humbled by vast distances and nature's ferocity in Siberia, the Irish babushka switched from her preferred bike to slow-going railway. I, for one, don't feel disappointed by this change; whatever the means of locomotion, Dervla's gift for observation and compelling writing remains the same. Siberia is fascinating (of course), but by now I've decided that my favourite part of Dervla's writing - in any of her books - is social criticism. Her political incorrectness is refreshing, all the more for its scarcity in today's world of mediocrity and playing it safe. So who gets it this time? Most anger is directed against the usual culprits - power politics, cynical economic institutions, environmental destruction, consumerism and capitalism rampant. There's a long tirade against funereal industry (what's wrong with that? Well, read the book. Dervla provides information, not only propaganda), and a wonderfully biting remark on kitschy Paddy's Day celebrations (that's something, coming from an Irishwoman). I am always impressed by her courage to speak up. Inevitably, some people will be outraged to see their lifestyles condemned. She doesn't seem to mind - what needs to be said gets said. Good! Under our cultural imperative to be 'nice', we often forget that ugly deeds need to be exposed and condemned, not ignored. In short, Silverland gets 10 out of 10 on my personal 'good books' scale and an enthusiastic recommendation.